A couple of years ago Mark Pellegrino and his wife did a significant Supernatural (TV series) tour Down Under, taking in some parts of New Zealand during that time. I got to catch up with Mark and his wife over dinner as part of that time they spent here. We had decided to go to Melbourne to do a Comic-Con there. 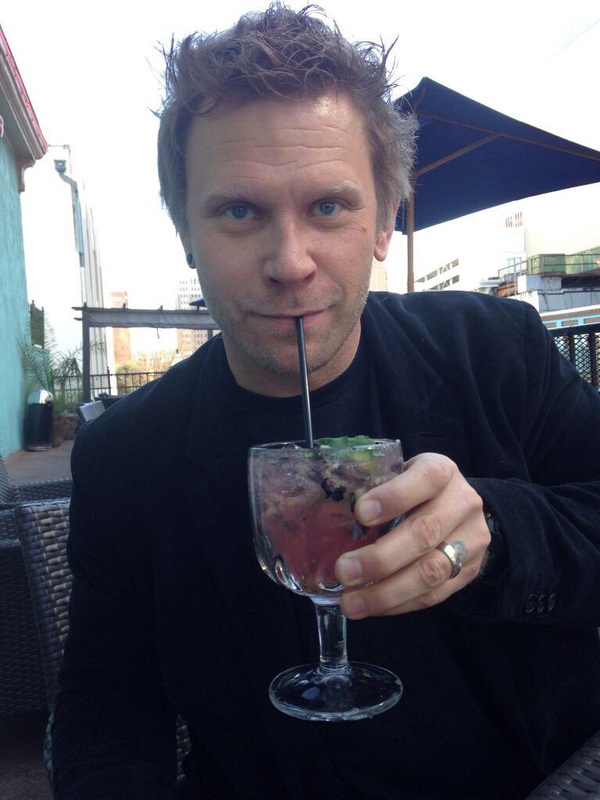 On offer was a dinner with Mark Pellegrino for a Supernatural event. My life had turned into a haze of Uni studies for me plus myself and my husband starting to put some of these business ideas together. Covering some of the Cons and interviews etc. has always been a part of the plan. But my Dad became very ill last year and life happens so 12 months or so were added unexpectedly to our timetable. Upon writing this and looking back, I hope Mark and his wife had a good time here. Melbourne weather put on a great show bringing on sunny and 30C days. Beautiful. Who would have thought Melbourne had it in it? I knew Mark had been in Lost in the role of Jacob, which to this day is a very popular character role and played exceptionally well by Mark. Fans still get excited by Lost. I, on the other hand, am a huge Supernatural fan. Enjoying the lore, mythology and storylines of the show. I have also done an extensive study of Tolkien and The Lord of the Ring stories. I was excited to meet Mark because of my interest in Supernatural. Of course, as I am writing this story, Mark has also got The Tomorrow People and now the Netflix original TV series The Returned under his belt. I did do my homework prior to the dinner to see what Mark got up to outside of Supernatural. Turned out he is an interesting guy. Besides the role in Lost, he also had a role in the film National Treasure (2004) and The Number 23 (2007). He also teaches acting classes in Los Angeles and participates in sports. The photo above was taken in November 2014, as part of a Q&A Twitter chat for IMDb. Upon meeting him, I noticed he had a keen sense of personal style, wearing an appropriate jacket to dinner and comfortable in his Levi’s (I do notice this stuff after a lifelong interest in fashion). His personal fashion taste reminded me of Robert Redford, with that relaxed Californian approach and his trademark blond hair. He was focused with excellent people skills and I noticed that this approach would help him in his profession. He is relaxed and had an interest in Australia and the goings on down here. We chatted about politics and economics, something else he said is one of his interests. He is focused and single-minded in how he approaches thing. I also found him to be open-minded about subjects. The following day I also attended his Q&A about Supernatural. He happily answered questions, which the fans loved. I found him to have that charismatic personality about his persona. The questions about Supernatural were fun and of interest to the fandom. For Supernatural fans they know he played Lucifer during season 5. The character was intense and he is a chameleon with that ability to make his roles unique. I have met some of his fans and they are die hard to the end. He is a superb actor. 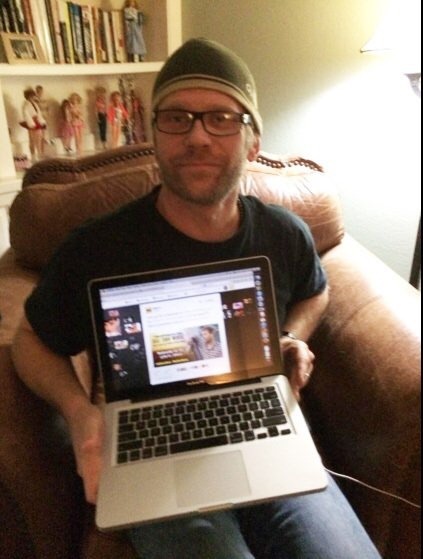 The featured photo is from Mark Pellegrino’s Twitter. I did take photos but it was a new digital camera and I wasn’t that apt with it. Plus I’m not sure where they are. Sorry, Mark. But I had a great time, thank you.